As outlined in the previous two posts (1, 2), a commitment to buying only high quality stuff brings a wide range of advantages, both to yourself and to our society as a whole. And the best way in which to maintain such a commitment is through a high quality mindset. A high quality mindset is one that defies our cultural conditioning by seeing the whole picture instead of only the price tag. This complete picture includes the full cost in terms of time and money, psychological factors such as user-satisfaction and peace of mind, and broader effects such as environmental benefits and correct market signals. In terms of money, a high quality mindset will always consider the total cost of ownership. This typically consists of depreciation, maintenance costs, running costs, insurance and financing costs. High quality items will usually post the biggest wins in the first three categories because they usually depreciate slowly over their long lifetimes, require minimal maintenance and run very economically. When it comes to insurance and financing costs, it is important to stress the difference between high quality items and luxury items. For example, a fancy Mercedes is a high quality product, but it will cost a lot to ensure and finance because it is a luxury item. However, there are many high quality models outside of the luxury market that will run smoothly and economically over many years with much lower insurance and financing costs. 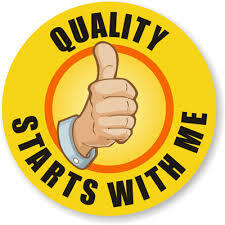 A high quality mindset will also consider the full experience resulting from any sizable purchase. Peace of mind and user-satisfaction are highly valued in the high quality mindset and will therefore play a major role in purchasing decisions. Finally, the high quality mindset has evolved past the self-centred nature of our consumerist society and allows for much broader vision. Enormous heaps of discarded low-quality stuff piling up in developing nations together with the serious depletion and pollution issues caused by such inefficient resource use matter to the high quality mindset and will therefor influence decision-making. A high quality mindset really flies in the face of current consumerist norms, but can establish itself remarkably quickly when given the chance. So, why not give it a chance? The benefits are enormous and multiple. “Peace of mind and user-satisfaction are highly valued in the high quality mindset”…very true. I have recently come to adopt a high quality mindset, but it took some time. Partly because a high quality mindset often requires a corresponding high level of disposable income. But there’s also the consumer guilt that comes with ‘indulging’ on the best when maybe something less will do (I understand, though, that whole point of the post is to replace that mindset). For example, both times that I have bought new smartphones for my wife I have bought the best for her, justifying the expense with the benefits she would get from them. But in each case it felt too indulgent for me to buy myself the same phone. Instead I bought cheaper alternatives that in the end didn’t last and were not quite fit-for-purpose. Ironically, a high quality mindset will help guarantee a high level of discretionary income (disposable income minus mandatory expenses) in the long run, simply because the total cost of ownership for high quality is often lower than for low quality. When it comes to items that are supposed to enhance your productivity (such as your smartphone), high quality can actually directly increase your disposable income by allowing you to add value more efficiently in your primary occupation. Of course one should be careful not to indulge in luxury items, but I don’t think the term “indulge” applies to high quality items outside of the luxury market. As far as I can see, consumer guilt is misplaced when it comes to such items.